A father of one of the survivors said a bus with 37 school children and seven teachers had been on a trip to the resort area. Royal Hashemite Court Chief Yousef Issawi, Deputy Prime Minister and Minister of State Rajai Muasher, Chairman of the Joint Chiefs of Staff Lt. Gen. Mahmoud Freihat, Adviser to His Majesty and Director of the Office of His Majesty Manar Dabbas, Adviser to His Majesty for Tribal Affairs Sharif Fawwaz Zaben Abdullah, and Adviser to His Majesty for Economic Affairs Mohamad Al Ississ attended the meeting. Among the dead were three Iraqi nationals; two Iraqi students and an Iraqi woman in her 20s who was believed to have been a chaperone on the ill-fated school trip, the Jordan Civil Defence said, noting that there were no other foreign nationals or tourists among the fatalities. Many of those killed were under 14, with hundreds of families and relatives of the dead and injured gathering at Shounah Hospital, a few kilometres from the disaster area. Meanwhile, several people from the area where the floods hit told Al Jazeera that they had repeatedly complained about the bridge that collapsed to the ministry of Public Works and Housing. "The children tried to escape the floods by going to the bus but its doors were closed", said Abu Yousef told reporters. 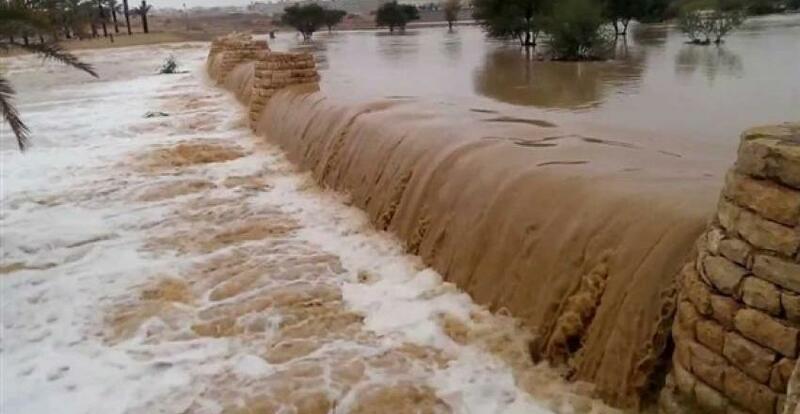 Last week, flash flooding also killed five people across Tunisia, including a six-year-old child who drowned in Sidi Bouzid. Israel's Air Force confirmed in several tweets that it had joined Jordan in the search and rescue efforts for those still missing, but the operation had been paused due to harsh weather conditions. As the death toll continued to rise, Jordan's King Abdullah II announced that he cancelled a visit to Bahrain, scheduled for Friday local time.